What the what ? Yes, some people still do have some things to say, and those same people seem to have been working with skills both on the meaning the image and the form of the whole to come up with what we can honestly call a piece of art. What are we all excited about ? 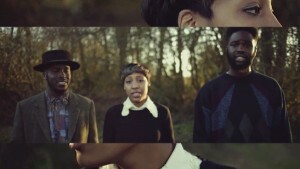 The music of hip-hop uk christian (you heard) London-based group A Yellow Man. It has been a while we hoped to see a band of this musical dimension emerge from the mass of hip-hop band challenging the style itself. Are u ready ? Are u ? Press play !